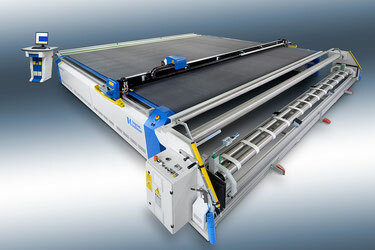 We offer cutting tables for a wide variety of industries and applications. Based on the individually required machine concept of the customer, we offer various cutting tables for each material size and length. Single ply cutters are used for the production of samples, small series and series production of leather and textile processing industries. Your strong partner in cutting of prototypes and small series. Buddy is easy to handle, sturdy and compact. Buddy impresses with an precise cut, very fast punches, as well as an effective vacuum technology. He suitable for leather, textiles and a variety of other materials. 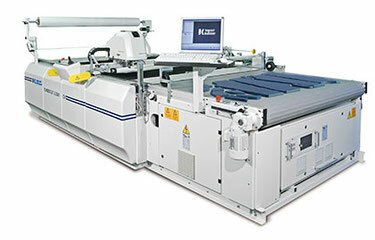 Multi ply cutting has been used successfully in various industries for many years. Examples are the furniture industry, automotive and aerospace industries. All types of airtight materials are cut in high thickness. The method is suitable for a variety of shoe textiles, such as strobel, lining and filler. Due to light beam and skeleton aluminium design combined with a high frequency knife the bullmer TURBOCUT is one of the fastest cutters in its category. Due to it‘s leight weigth construction a head acceleration of 1,3 G can be achieved. The TURBOCUT perfoms up to 25 mm cut height with a vertical high frequenzy oscillating knife. 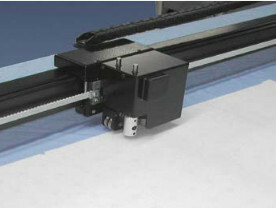 The Plottertech Duet Single Ply cuts pattern material for a variety of industries. In addition to cardboard, rubber, vinyl and plastics can also be processed. The cutting head contains two tools (knife and pin).